imperix is present at numerous trade fairs, conferences and events. We kindly invite you to come and see us at our booths. You’ll be able to obtain information on our products, exchange experience with our specialists, or simply get to know us. APEC focuses on the practical and applied aspects of the power electronics business. 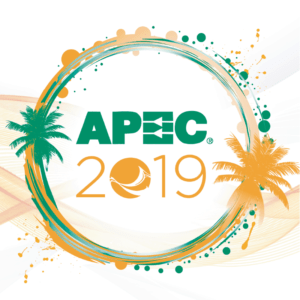 APEC is now considered to be the leading conference for practicing power electronics professionals. The combination of high-quality Professional Education Seminars, a full program of refereed papers and an overflowing Exhibit Hall consistently provides an invaluable education each year. 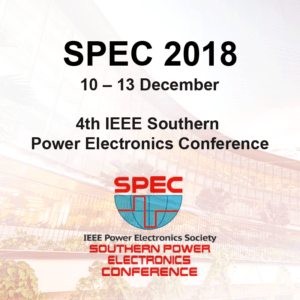 The 4th IEEE Southern Power Electronics Conference, SPEC 2018, as an initiative of serving power electronics conferences society to southern hemisphere, will be held in Singapore at Nanyang Technological University. SPEC 2018 will cooperate with the Institute of Electrical and Electronics Engineers (IEEE) to bring together the world leading experts to present emerging topics on energy, power, and transportation electrification. The event will take place at the charming Le Westin Montreal. Our objective is to inspire you to Innovate Beyond, with the knowledge you obtain from the conference, from the presenters, the attendees, the sponsors and the numerous networking opportunities. 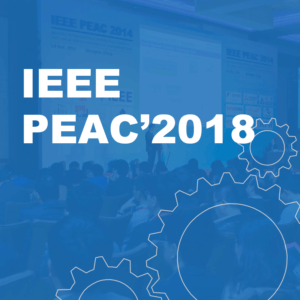 IEEE International Power Electronics and Application Conference and Exposition (PEAC) is an international conference for presentation and discussion of the state-of-the-art in power electronics, energy conversion and its applications. 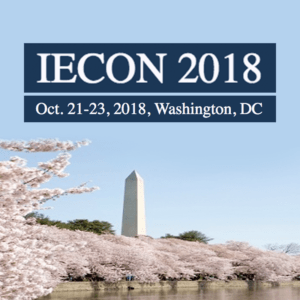 IECON 2018 is the Annual Conference of the IEEE Industrial Electronics Society, focusing on industrial and manufacturing theory and applications of electronics, controls, communications, instrumentation and computational intelligence. 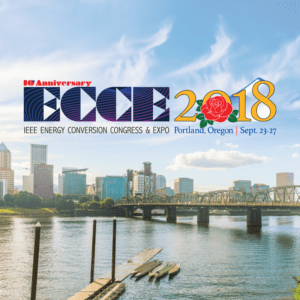 ECCE 2018 is the pivotal international conference and exposition event on electrical and electromechanical energy conversion field. 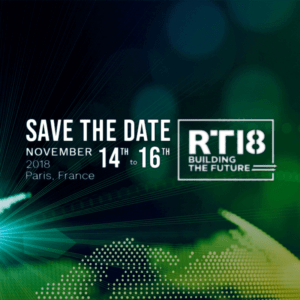 It will bring together practicing engineers, researchers and other professionals for interactive and multidisciplinary discussions on the latest advances in various areas related to energy conversion. 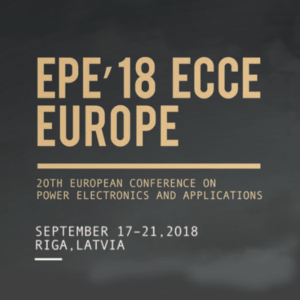 EPE ECCE Europe is the place for specialists in power electronics, systems and components. A characteristic trend from previous Conferences has been an increasingly large industrial participation, as well as growing exhibition. 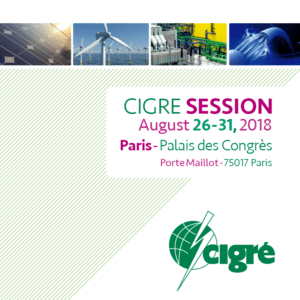 CIGRE brings together in Paris, France, more than 3290 experts and managers from the international electricity sector. This congress offers discussions on current technical issues. In parallel with the conferences, the technical exhibition offers all visitors the opportunity to discover new services, tools, equipment and materials, and advanced technologies in the field of electricity. 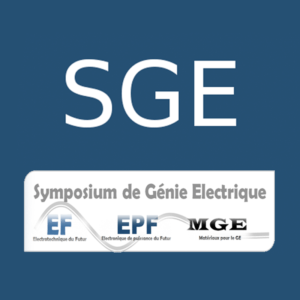 This event brings together specialists in the field of conversion and processing of electrical energy, dealing with materials, power electronics and electrical engineering. 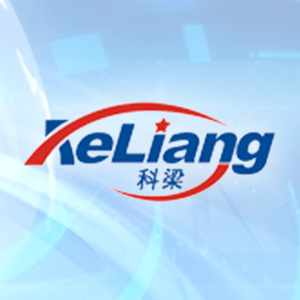 Imperix’s distributor for China – KeLiang Technology – organizes on a regular basis User Group Conferences and related Events where newest products and updates are explained and discussed. Imperix will join this June conference in order to present its MMC-bundle for rapid prototyping for modular converters.